Aladdin Trouble is a panto-tastic musical containing 11 amazingly catchy songs and a captivating new take on the original Aladdin script. Now available with Words on Screen™ v2. Welcome to the exciting world of 1001 Arabian Nights, where the marvellous, panto-tastic Aladdin Trouble is set! Scheherazade, our storyteller, launches us into a tale of good versus evil, a magical lamp, three wishes, witty banter and buffoonery and, of course, love conquering all. 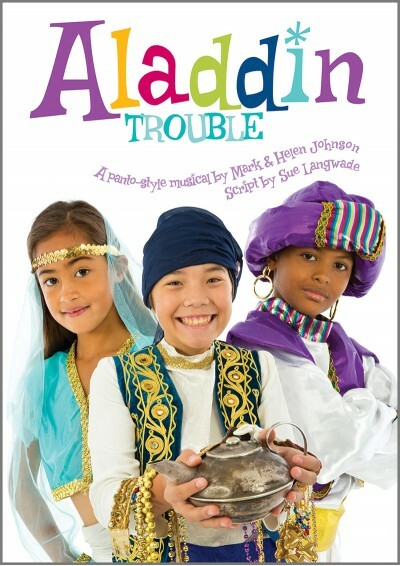 Aladdin Trouble features all of your favourite characters including the beautiful Princess Jasmine, the wicked Abanazar, the hilarious Widow Twankey and the fabulous Genie - and plenty more besides. With a brilliant modern take on the original Aladdin script and 11 incredibly catchy songs, Aladdin Trouble will make you boo, hiss, laugh and cheer along to this rip-roaring musical, from the incredible writing team who brought you Cinderella & Rockerfella. See this product reviewed in Teach Primary Magazine here. Please be aware that all the instrumental parts for Aladdin Trouble have been arranged for a wide spectrum of instrumentalists, therefore it is inevitable that some parts will work better for some instruments than others and their level of difficulty will vary depending on key signatures, musical style, pace of the song and so on. The arrangements have been written with the intention of being used alongside the CD backing tracks – they are not a replacement for the existing backing track. Some of the songs from the musical (In The Marketplace, The Chase and Wedding Procession) are not so suited for easy instrumental arrangements and therefore we have not provided parts for these songs. This may, however, give the instrumentalists an opportunity to be involved in the action on stage where appropriate. 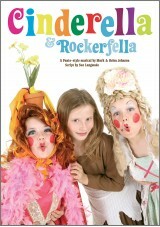 A Panto Like No Other! 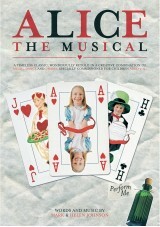 A current Annual Performance Licence is required to perform this musical to an audience (other than to pupils & staff) and/or to install Words on Screen™ on a server and/or 2+ computers. You can purchase an Annual Performance Licence above (it is cheaper when purchased as part of a Premium or Standard Pack). When every parent tells you it was the best show ever and that their faces hurt from laughing & smiling so much you know it's an absolute winner! Wish I could give it 6 stars!! This is an excellent play that has something for everybody in it. The children really enjoyed it. Excellent script. Thank you. we took on Cinderella last year, and Aladdin this year. both turned out fabulous. Kids loved them, parents were howling. What will we do next? The show just works.Thank you! An amazing production as usual! Cannot recommend this highly enough! Great score and script! 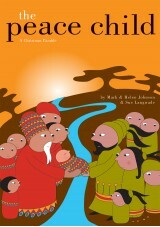 I'm doing this for my end of year play. This panto theme style performance is hilarious and is very good! It contains great English humour and emotional scenes, catchy songs and the greatest ever! This is a sensational performance and the songs are incredibly catchy and the script is full of humour,it is an absolute phenomenal panto and is loved by everyone 5 STARS!!!!!! We had so much fun putting on this play. Everyone loved it and we are still singing the songs now! After doing Cinderella Rockerfella which was also a firm favourite, Aladdin Trouble was brilliant! Thank you! We have just had 2 great performances of Aladdin Trouble by our Year 6 leavers! Absolutely brilliant! Thank you Out of the Ark - thoroughly enjoyed by all (although exhausting)! One of our best shows ever! 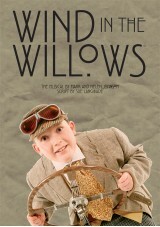 An excellent show which the children adored. Catchy songs, not too difficult to learn and Words on Screen feature a real plus. The perfect end to our school year.